Aleph Bet Soup | Yo, Yenta! THAT is really cool. The aleph bet poster, I mean, not the thesaurus nightmares. The star of David is a powerful amulet. 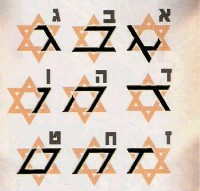 The star of David is really amazing. 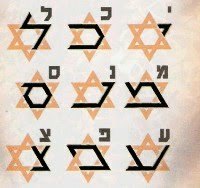 The Hebrew Aleph bet in the Star of David is amazing. it is also implemented in Jewish jewelry . I love it .